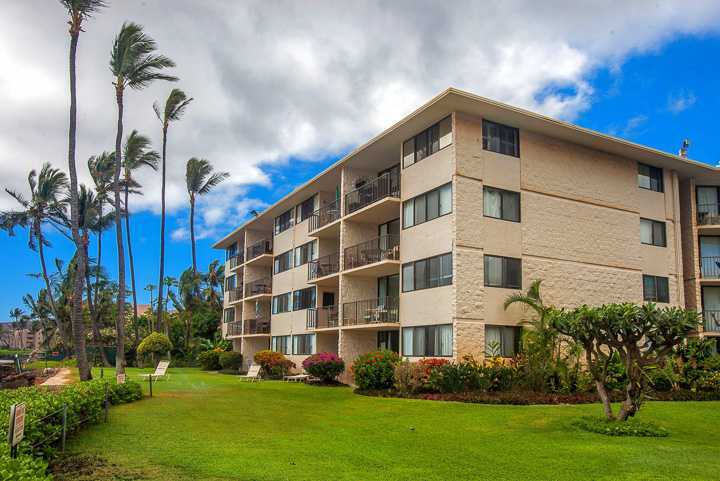 Kanai A Nalu Unit 101 Maui Oceanfront ocean view condo rental ground level convenient to lawn, beach and the sea. 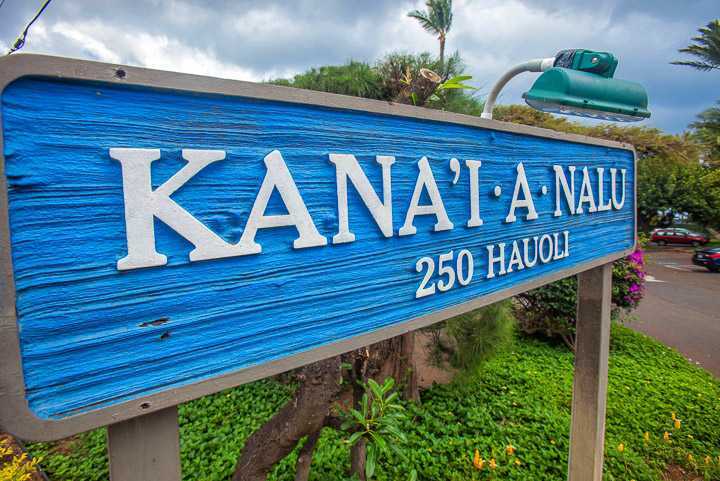 Welcome to Kana'i A Nalu a quiet resort that sits on the ocean away from the road. 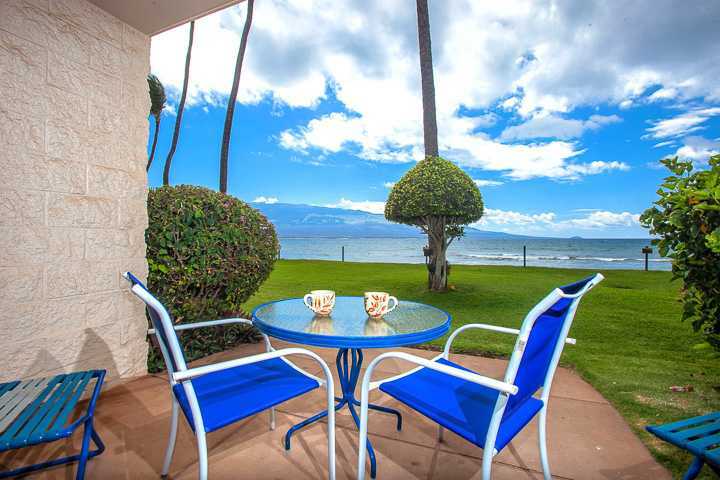 This property has the BEST ocean front views of Molokini Crater and Kaho'olawe Island. 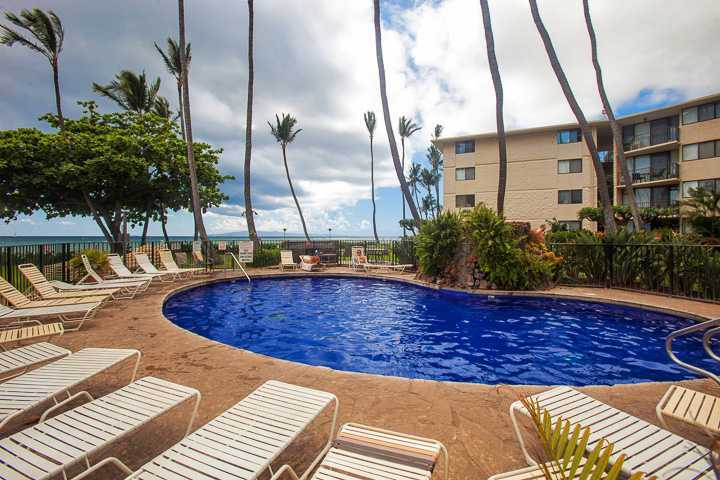 There is a swimming pool and BBQs next to the ocean. 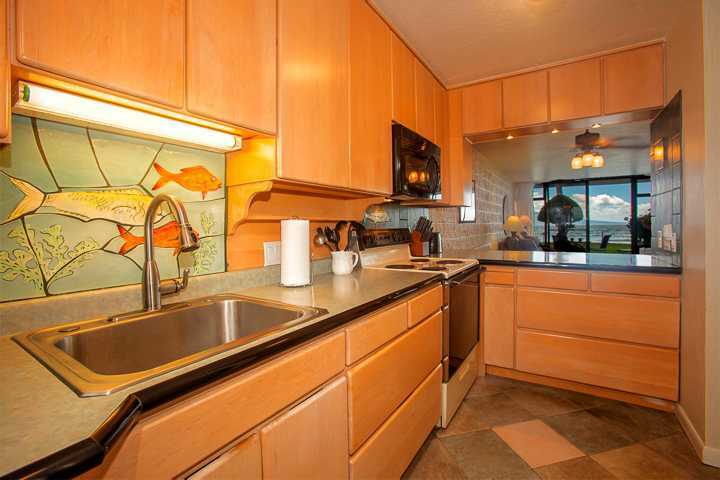 This two bedroom two full bath condo is 952 sq ft with full ocean view. 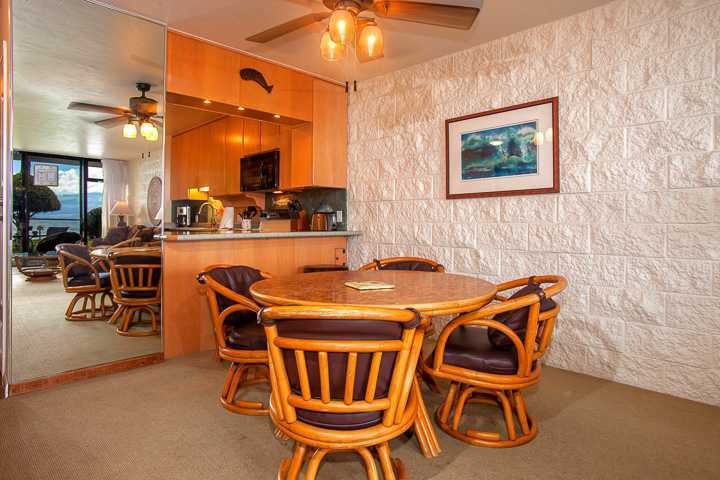 We allow up to 6 guests but a maximum of four adults please. 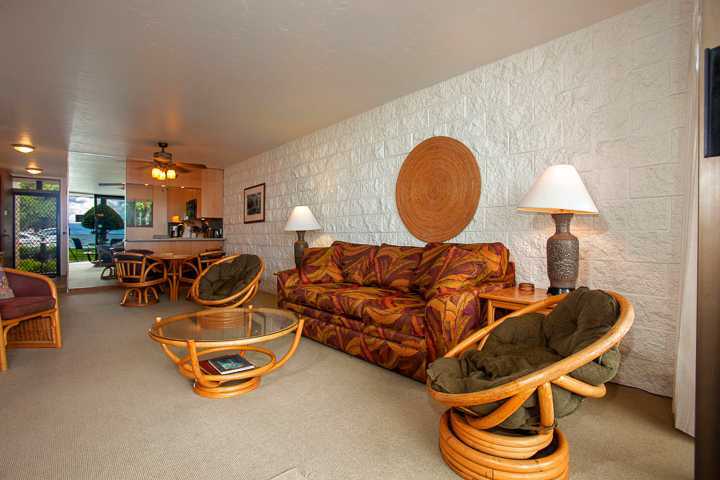 This lovely ocean front property is located on the beach and on the first floor. 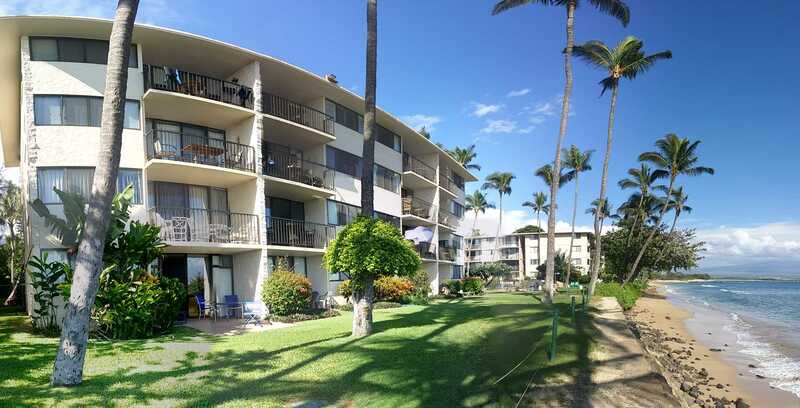 Convenient beach access from your lanai. Enjoy sunsets year round. During winter humpback whales can be seen in abundance. 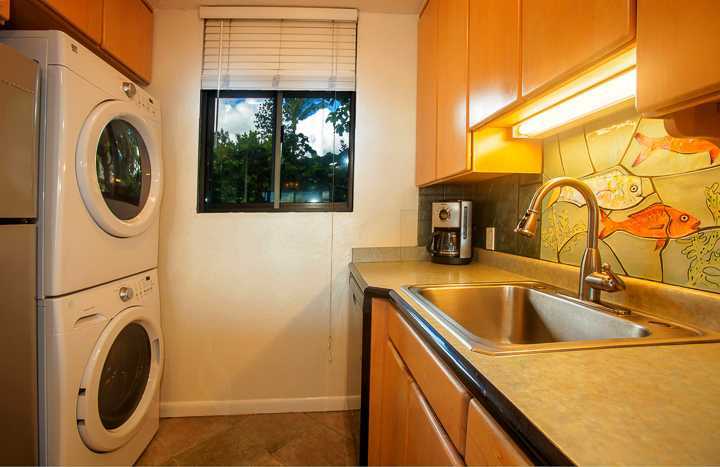 This unit includes window A/C in the living room and 3 ceiling fans, and FREE secure 5G high speed Wi-Fi access for your laptop and other devices. 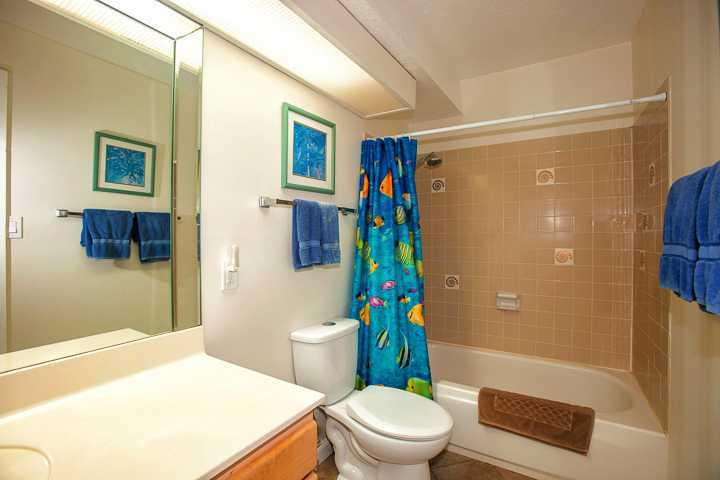 This corner unit is spacious and bright. 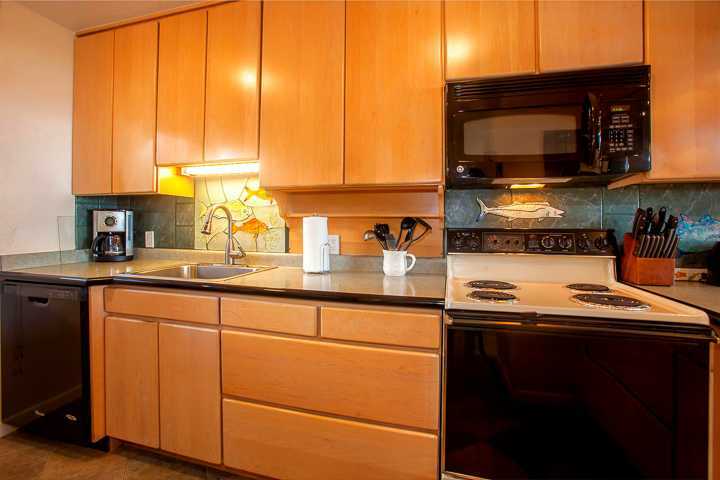 The kitchen is fully stocked with dishwasher, stove/oven; linens and towels supplied; washer/dryer inside the unit; a telephone for calls to USA mainland, Canada and Mexico, cable TV, CD/stereo. 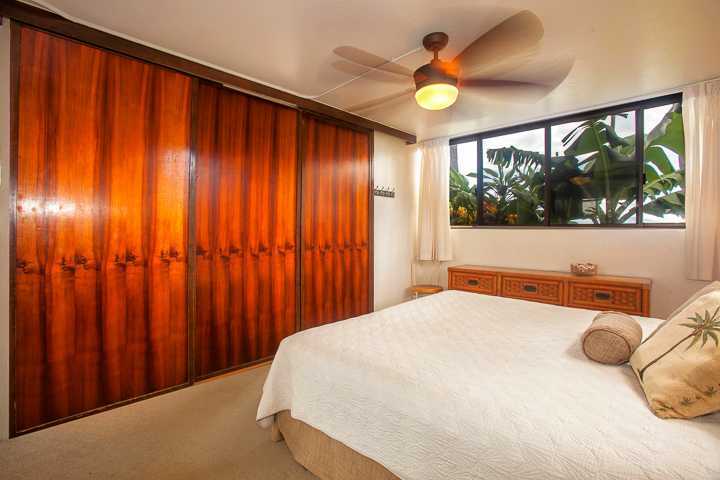 The master bedroom has a King size bed for your sleeping comfort with Japanese style shoji doors to close for privacy. 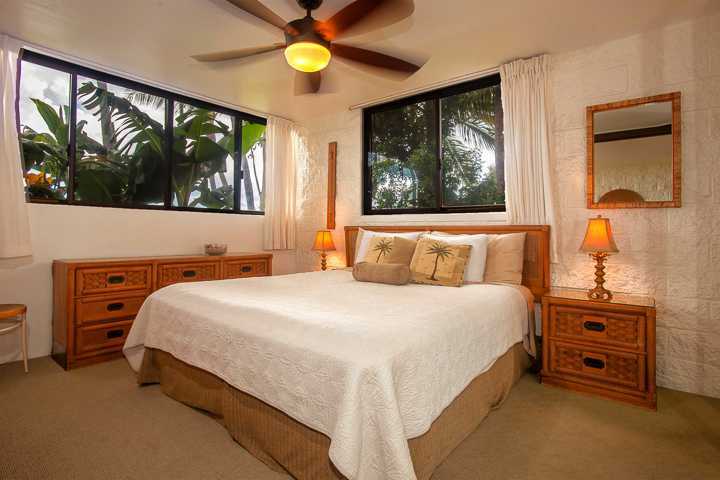 The second bedroom has two single beds that can be pushed together to make a King. 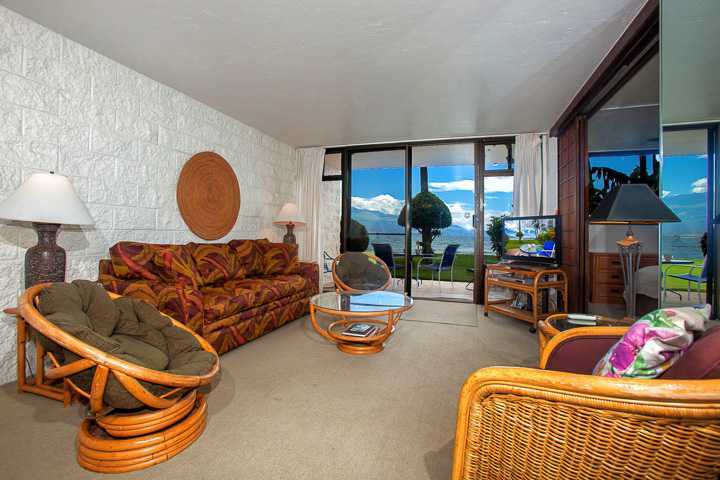 The living room has a Queen sofa bed. 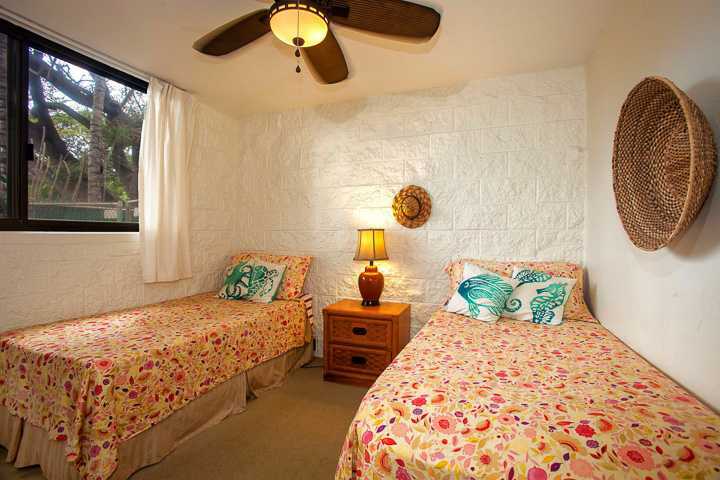 This home sleeps 4 adults maximum and 2 children a total of 6 guests. 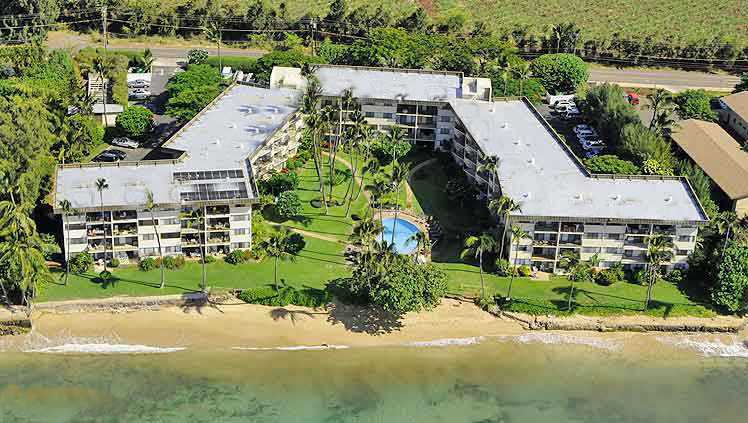 This complex sits directly on a 3-mile stretch of white sand beach that spans almost the entire Ma'alaea Bay. 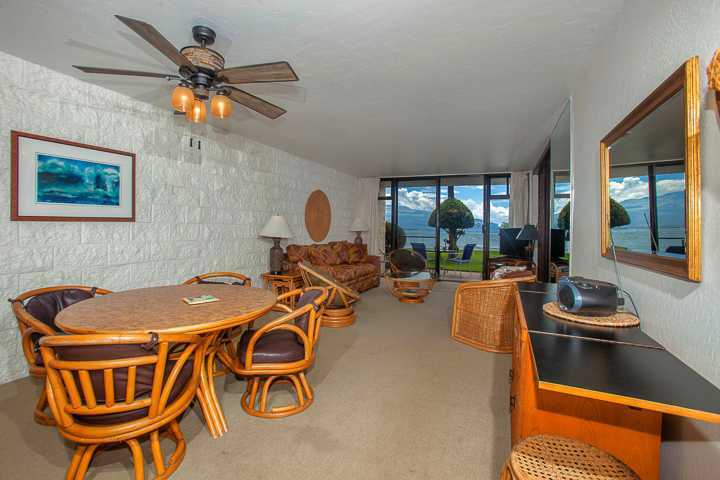 This setting is wonderful for romantic sunset strolls. 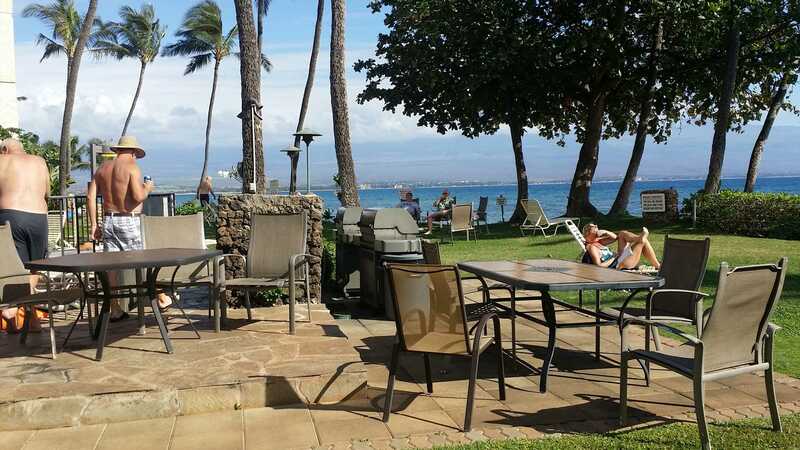 For the more active person this is a great beach to run on for miles in peace away from the crowds. 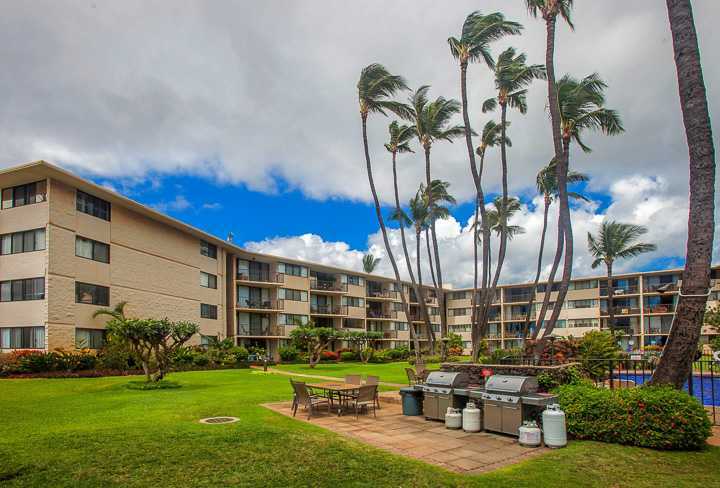 The west end of the beach is Haycraft Park and Ma'alaea Harbor. If there is a big south swell, the wave off the harbor, "Freight Trains," can be one of the best in the world attracting expert surfers. 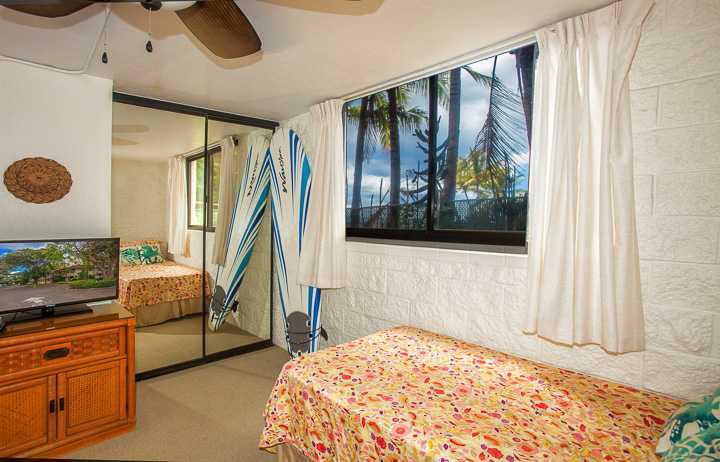 Towards the east of Ma'alaea is a great spot for windsurfing. 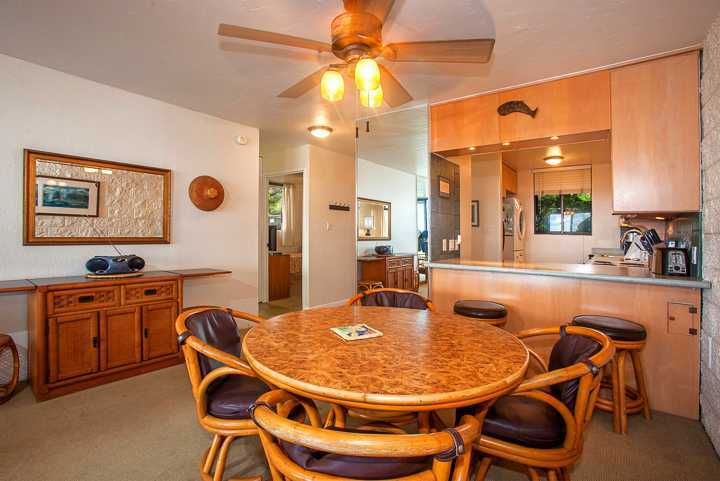 This property is located less than a mile walking distance to Ma'alaea Harbor and it is centrally located on the island between South and North Maui. 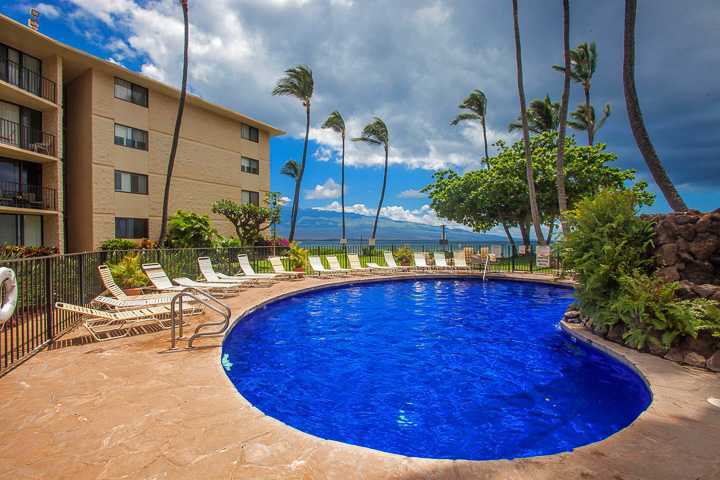 Enjoy everything Maui has to offer by staying in this 2 bedroom condo rental with amazing ocean views. 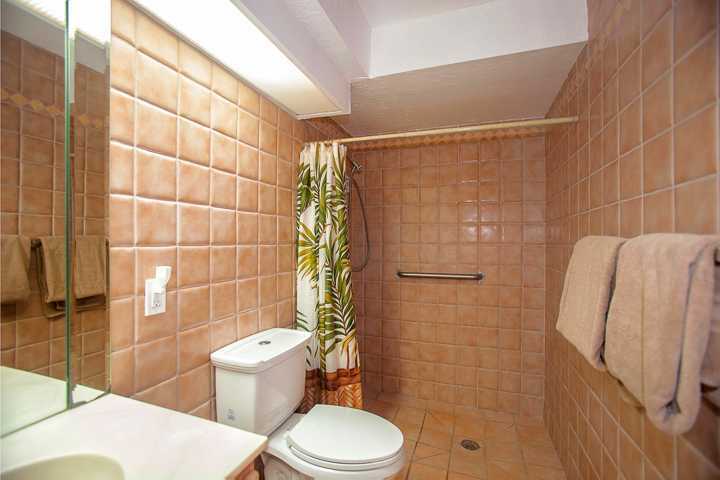 This condo is on the groud floor to make it more accessible for guests who cannot do stairs. 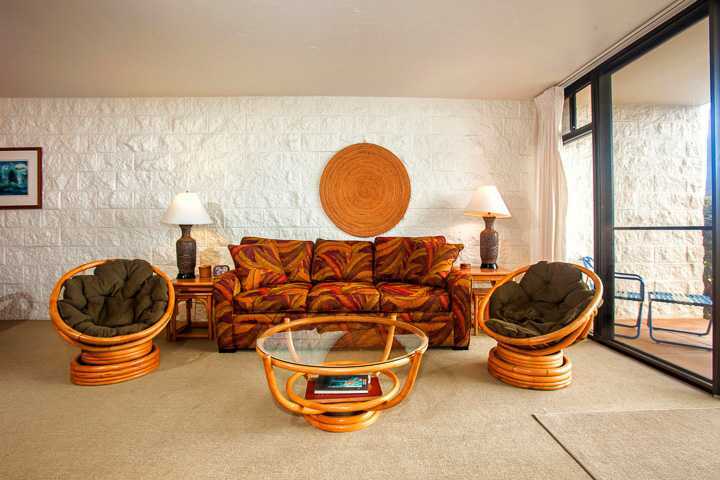 Book your Maui getaway today with Maui Vision Rentals where you always Book Direct and avoid all the 3rd party fees.